Summer may be winding to a close, but the fun is just getting started in Boston. September marks the beginning of one of the city's busiest seasons and features a full calendar of unique events perfect for any visitor. From museums to mazes, check out these top picks for New England events this month. 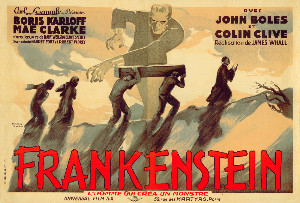 Image Credit: Roland Coudon, Frankenstein, about 1931, produced by Universal Pictures, printed by Etabts Delattre, France, lithograph, 63 x 94 in. (160 x 238.8 cm.). Courtesy of the Kirk Hammett Horror and Sci-Fi Memorabilia Collection and Universal Studio Licensing, LLC. The Peabody Essex Museum in Salem, MA, easily accessible from the city via car or public transportation, is one of the region's foremost art museums. In addition to its core collection, the museum features a busy calendar of rotating and temporary exhibits. One of PEM's most innovative exhibits to date, It's Alive! presents 135 works from 20th-century cinema drawn from the extensive personal collection of Kirk Hammett, best known as the guitarist of the rock band Metallica. Explore this unique collection of classic horror and sci-fi posters until November 26, 2017. With the advent of cooler fall weather, September is the perfect time to take a walking tour of Boston. 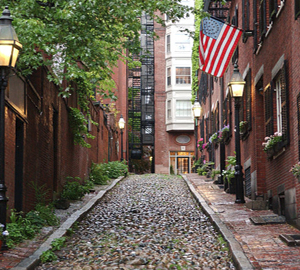 Boston By Foot's Heart of the Freedom Trail Tour is the perfect introduction to Boston's history. Great for first-time visitors or families with children, the tour visits iconic Boston landmarks, including Faneuil Hall, the Old State House, and Old South Church. Tours run daily through the end of October and on weekends through the end of November. 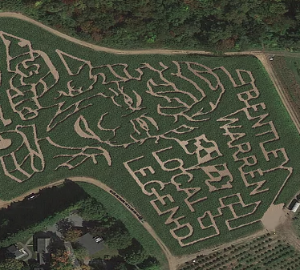 Connors Farm in Danvers, MA operates one of the largest and most iconic corn mazes in the country. Covering seven acres, 2017's maze features a tribute to local race car legend Bently Warren. While the maze is one of the main draws for visitors, the farm also features plenty of traditional fall fun, including hayrides, pumpkin picking, games, and campfires. The maze opens September 9 and is open daily until October 31. Boston Harbor has been an essential part of the fabric of Boston since the city's founding. Boston Harbor Cruises' Historic Sightseeing Cruise offers visitors a unique way of exploring the city's history. 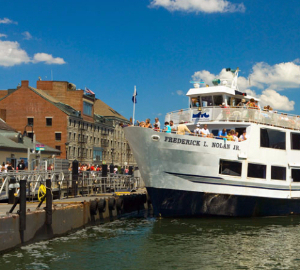 Escape from hectic downtown Boston and take a scenic, relaxing cruise while learning about Boston's rich history. After September 4, cruises depart twice daily. 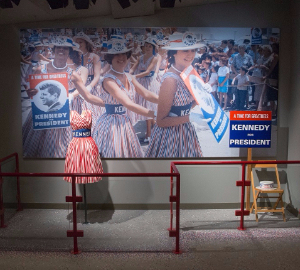 At the JFK Presidential Library, visitors can learn about the life and legacy of the 35th president of the United States. 2017 marks the centenary of JFK's birth, and in honor of this anniversary, the Library has put together a unique exhibition that chronicles historic milestones in the president's career and personal life. The exhibit is on view through May 2018. For the complete list of Boston September events, check out the visitor fun calendar here.